Intermec has announced the PM23c, a new 2″ mid-range industrial printing solution and an extension of Intermec’s PM43 and PM43c printer platform. 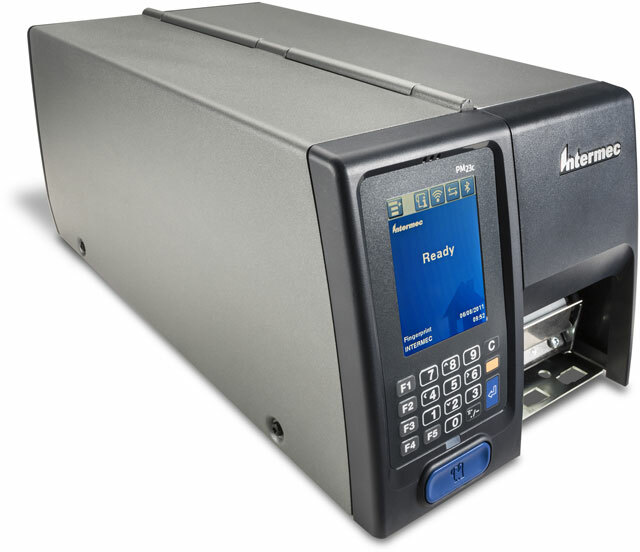 The PM23c is an all-metal barcode label printer primed for mission critical markets and applications such as airline passenger services, manufacturing, and retail, including product labeling and food traceability, where maximizing productivity drives results. The PM23c offers all of the same advanced capability of the PM43 and PM43c, and is one of the industry’s best communicating printers with a full color touch-screen featuring 10 languages or an easy-to-use universal icon User Interface. This family of printers also offers a multi-lingual intuitive web-based device management interface, and WiFi- and CCX-Certifications. Also, with optional Bluetooth connectivity, the printer offers a leading range of industry standard and supported wireless connectivity choices. Additionally, the PM23c maximizes uptime and reduces frequent media handling via Precision Print, easily printing small barcodes, text and images with pinpoint accuracy to save customers time and money. The PM23c also helps to reduce labeling errors and increase process efficiencies with Intermec’s industry-leading Smart Printing capabilities, including the recently announced Intermec C# Smart Printing language. Smart Printing with C# enables users to easily create stand-alone applications developed through the embedded modern programming language to allow users to directly control other devices such as scanners, scales, keyboards and other peripherals through the printer. For more details or to pre-order aPM23c printer, contact us at BarcodesInc.